If you want your wedding to stand out from the rest and not fade from memory then choosing a unique wedding theme will certainly help to keep it fresh in people’s minds. There is nothing worse than spending a fortune on your big day and then a few months later your friends are unable to distinguish between memories from your day and from somebody else’s. The temptation can be to try and go bigger and bolder than everybody else but that often comes with greater expense. So choosing a really unique theme could be the better solution. It is important to choose a theme that is really close to your hearts. So if your first date was to go and watch the Avengers at the cinema then you could go for a superhero theme. It doesn’t necessarily mean that the dress code is lycra and capes, just to have a little superhero twist to your look. For example, a Wonder Woman tiara or Superman cuff links or designer tie pins. You can always just have a fun theme for the evening do and keep it more serious and formal in the day. Halloween – It is that time of year when people start watching scary films and going to Halloween parties dressed up as ghosts, evil characters and zombies. If you love this time of year then a Halloween theme could be ideal. Princess – Always dreamed of being a princess? Well on your special day, you should be able to be whatever you want to be. You may remember Katie Price and Peter Andre’s wedding some years ago where she arrived in a carriage that looked like it had popped straight out of a Walt Disney film. They went on to release a cover of the Aladdin song ‘A whole new world’ just to squeeze in that extra amount of publicity. You probably don’t have the budget or inclination to match this but a princess theme can be classy and stylish and will stand out from the norm. Festival – Maybe you met at a festival or you love going to them? Why not get married at a festival? You don’t have to book out a tent at Glastonbury, just bring the festival to your venue. With a couple of different musical acts and a nicely sized field, you could have the perfect festival wedding. Victorian – Period dramas have been all the rage in recent years and nothing quite says ‘elegant wedding’ like a Victorian theme. With corsets and suit tails and a replica Victorian style dress, the ladies and gentleman of the manor will have a splendid time! Museum – More non-traditional venues are now offering to host weddings like museums, zoos and aquariums. Marry your penguin-suited groom amongst the penguins or have a whale of a time at the aquarium. It definitely won’t be a wedding that is forgotten anytime soon. Game of Thrones – The hottest TV series of the year had millions of viewers on the edge of their seats. Each week would slowly pass whilst awaiting the next instalment of GoT. If you loved Game of Thrones and its characters, then why not choose that as your theme. The Queen of Meeren and Jon Snow ended up in each other’s arms at the end of the last series, so the two characters could be ideal. It’s probably a good idea to only invite the dragons to the evening do, as you don’t want them to steal the show! 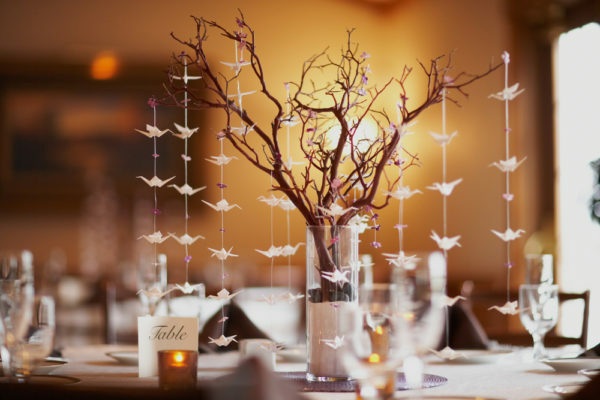 Make your wedding the most memorable of the year with a theme that will blow your guests’ minds! 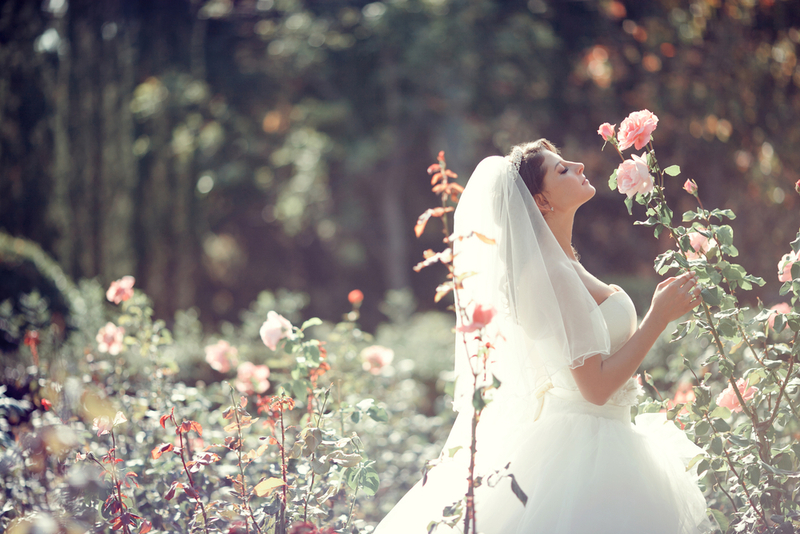 Such a captivating image of the bride smelling the rose, love the bokeh in the background.